Product #1821 | SKU 400PL-HIG | 0.0 (no ratings yet) Thanks for your rating! The Manfrotto 400PL-HIG Quick Release Plate is one of the plates that was originally supplied with the Deluxe Geared Head. 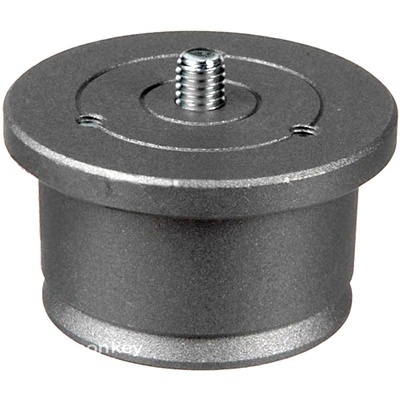 This 44mm high version offers maximum clearance and come supplied with both 1/4"-20 and 3/8" screws.